You rely on your heat pump to keep your home comfortable all year long. So when it is time to replace your current system, you want to know the company you hire will get the job done right. Millie’s Heating & Air Conditioning has been providing quality Arlington heat pump replacement services for years, and our expert technicians are up to date on all of the latest developments in the field. We will work closely with you from the beginning of the project to the end, making sure that the heat pump we install for you, is the best match for your home and that you know how to take full advantage of all of its features. And we also provide a full range of other heat pump services designed to keep your system working well over the long haul. It can be tough to tell when it is time to replace your old heat pump, and it can be tempting to put it off for as long as possible. After all, a new heat pump is a significant investment and you would like to get as much out of your old one as you can. But, if your current system is not keeping your home as comfortable as it once did or if it is using more energy than normal to maintain the proper indoor temperature, it might be time to think about replacement. If you notice any change in the performance of your heat pump, it is important to call for a professional opinion right away. Even if your heat pump is still working well enough, it is probably costing you extra on your energy bill. A new system would allow you to start saving right away. It is also worth considering professional heat pump replacement in Ashburn if your heat pump is more than 10 years old. Current models are so much more energy efficient that the cost of installation will be quickly offset by your monthly savings. 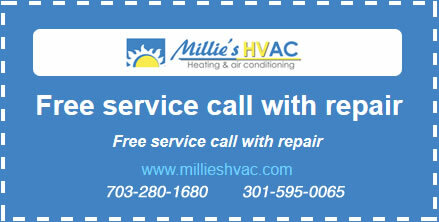 No matter why you need a new heat pump, Millie’s professional technicians can complete a replacement project for you. We use only the highest quality parts and materials on all of our Great Falls heat pump replacement projects, so you can be sure the work we do is meant to last. And we will get rid of your old heat pump for you, so you do not have to worry about that either.